We are enamored by first-hand experiences, and it’s why websites such as Facebook, YouTube and Instagram have grown to billions of daily users. There is power in allowing others to learn about and experience something through the words and eyes of someone else. The same curiosity and interest that has sparked energy around the consumer world of sharing has also crossed over into distribution, retail, health care and other industries where companies and organizations have started to use data in a variety of forms to communicate with the public and their customer base. More and more for-profit and non-profit entities appreciate the value of information. They understand that the more data they can aggregate, analyze and share with stakeholders, the more they come across as data-driven, forward-thinking organizations. They value the insights contained in their business data, and how when presented visually, it provides compelling and validating intelligence that can’t be communicated any other way. As a result, an increasing number of businesses and organizations are beginning to embed dashboards into customer-facing portions of their websites to help showcase visualizations, justify their business relationship and provide their customers with greater transparency behind their engagements. These dashboards contains visualizations of business-critical information that can motivate actions, outline opportunities and raise concerns. A distributor’s customers, for example, may value seeing a dashboard specific to their businesses illustrating how well the distributor is performing for them (e.g., orders fulfilled on time, what’s on back-order, average delay). How much of a value add would this data be to the distributor’s customers? What could those customers do with that information? Where else are public-facing, data-driven dashboards having an impact? Phocas works with several buying groups and industry associations around the world. These groups work to help their members grow their businesses, collaborate across similar business challenges and find opportunities to improve the stature and influence of the industry. Using the analytics gathered by Phocas from the member organizations and industry sources, some of these groups and associations are beginning to embed widgets and dashboards into their websites featuring charts, graphs and other visualizations to help members quickly and easily consume valuable intelligence. Sharing these intelligent insights from their data analytics adds value to their organizations, while also demonstrating the power of business intelligence. For example, one association is using Phocas to see their training data while another member organization is using Phocas to see industry benchmarks. They share the information through a shared dashboard or as a widget embedded into websites. These associations add value to the insights they collect when they share with others, and keep all stakeholders happy. Phocas enables sharing in several aspects of organizations. For instance, users can create and share customized dashboards and reports internally, providing valuable insights to teams and stakeholders across the business. Going outside of their orgainzations, Phocas users can create scorecards, enriching their conversations with their customers and demonstrating the value of their business relationships. 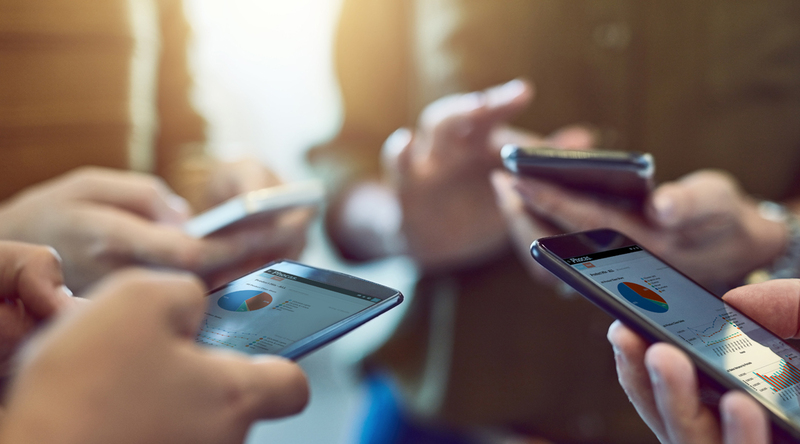 And, whether sharing internally or externally, our customers also have the ability to view their dashboard, report or scorecard on any mobile device, including a mobile phone, laptop or computer — so they can share and be shared with any time and any place. Learn more about Phocas’ powerful sharing capabilities by booking a personalized demonstration for your business.